Many students, whether they are in primary school or college, are heading back or have already headed back to school. It's time to give my prized pupils the treat of video game music. Feel free to leave an apple on this teacher's desk when we are through. On this week's edition of the VGMs, we have music from Castlevania: Dawn of Sorrow, Sonic & Knuckles, and Pokemon Rumble. Get your #2 pencil ready so we can begin. The boss theme of Castlevania: Dawn of Sorrow, Into the Dark Night is a fast paced theme worthy of slaying the most formidable foes. 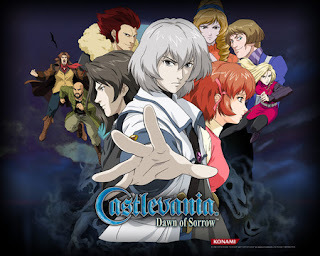 Dawn of Sorrow was my introduction to the series, and it left a grand impression on me. I loved the Metroid-style gameplay mixed with RPG elements such as leveling up. Then came the awesome and addicting soul-collecting. Grinding to kill the same enemy just so you could get its rare soul never grew old. The theme of the final level in Mega Man Battle Network 2, You Can't Go Back is a phrase that is exactly how it sounds. At a certain point in this level you literally cannot go back or save. You must beat the game from that point on. My favorite portion of this theme occurs between 0:20 and 0:35. The Mega Man Battle Network series's music didn't necessarily push the Game Boy Advance sound card much, but this theme is still rather catchy. Set on an airship suspended in the sky, the Flying Battery Zone takes place both inside and outside the aerial vessel that Sonic or Knuckles explore. 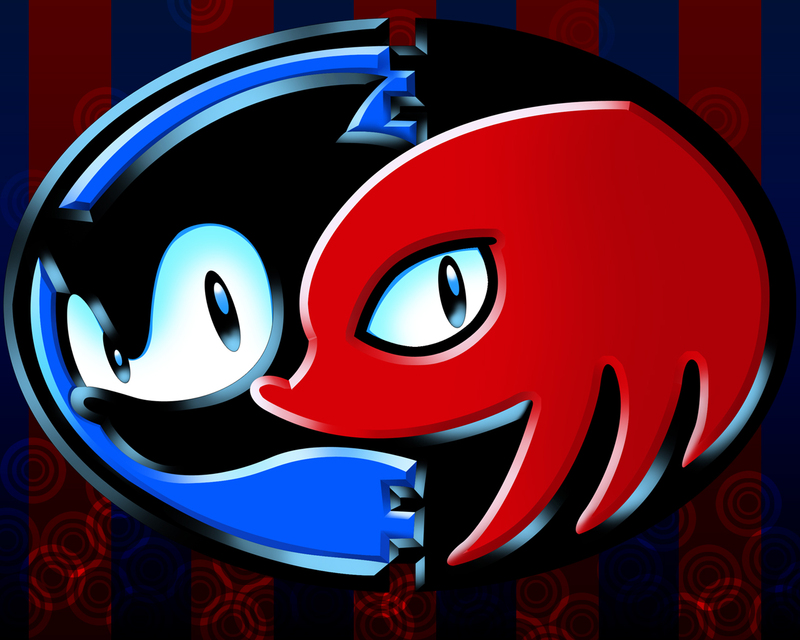 Sonic & Knuckles wasn't your ordinary Sega Genesis cartridge. It had the ability to have Sonic the Hedgehog 2 and Sonic the Hedgehog 3 to latch onto it on its top. Thus, one of the greatest Sonic the Hedgehog experiences of all time in Sonic 3 & Knuckles happened. The game allowed the player to go through all of Sonic 3 and Sonic & Knuckles' levels one by one, gathering the Chaos and then the Master Emeralds. There's a sense of urgency when this theme from the Fiery Furnace levels of Pokemon Rumble plays. 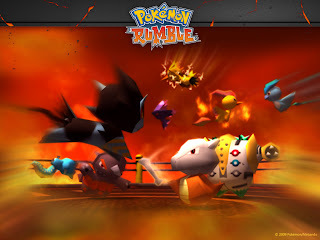 Pokemon Rumble was an action game where your Pokemon battled a bunch of other Pokemon across numerous dungeons. Once in a blue moon a defeated Pokemon would be able to be collected to join your arsenal of toy Pokemon. The Nintendo 3DS's Pokemon Rumble Blast would make a meatier game with more gameplay ideas, more dungeons, and a myriad of more Pokemon to obtain. I only wish the 3DS game prices weren't so high. Graffiti Kingdom is a lesser known PlayStation 2 game, a sequel to Magic Pengel: The Quest for Color. 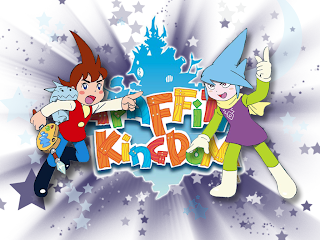 The fun of the game was creating your own monsters to battle through the dungeons, defeating enemies, platforming, and finding treasure (you can see gameplay in the video the music accompanies). Unfortunately there are not too many songs uploaded to YouTube of this creative and severely overlooked game. The soundtrack by Yasunori Mitsuda (Chrono Trigger/Cross, Xenogears) is charming and whimsical as evident by this theme. I hope those that are returning to school have a splendid semester. I know I hope to have one. But SPC will not be slowing down at all despite this. No, like I mentioned in my Spirit Camera review, there are two more new reviews for me to reveal and for you to read. Please look forward to those as I most certainly am.